Here at First Baptist Forney we strive for excellence. We believe strongly in the responsibilities of the home and church in helping with the spiritual nurturing of your child.To help accomplish this, our Bible Study literature focuses on these eight areas: Jesus, God, Natural World, Bible, Family, Others, Church and Self. We have trained volunteers on site to care for your baby and toddler. Please help us by bringing the following for your baby: diapers, wipes, bottles, pacifiers, a change of clothes, and any special blankets that will soothe your baby. For toddlers, please bring a sippy cup. Label all items that belong to your child. If your child has any allergies or special needs, please inform the teachers. To register your child for Sunday Bible Study, please visit the Preschool information Desk on Sunday mornings. 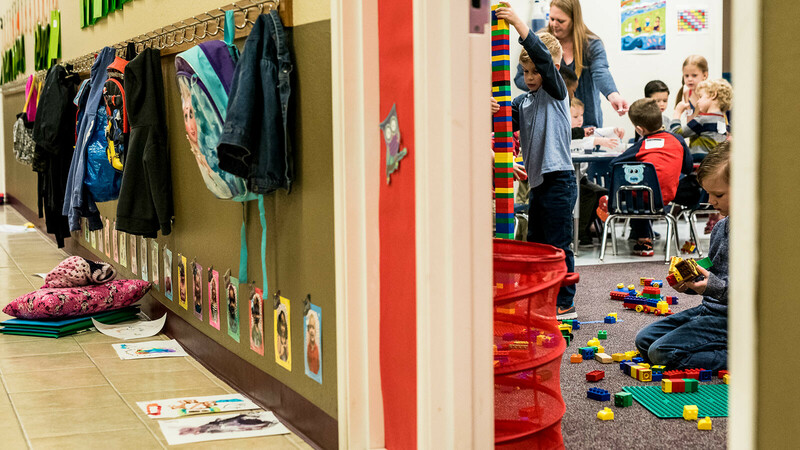 There is one located in the nursery as well as one in the older preschool area of Building D.
AWANA Cubbies (3's-4's) Clubs meet Wednesdays from 6:15 -7:45 p.m. in the older Preschool Area of Building D. AWANAs meet only during the school year. At Story Time each week, preschoolers learn about God – the greatness of His love and His Word – and about His Son, Jesus Christ, the promised Savior. Cubbies helps you lead your child to God early so your child will respect and trust Him for life. 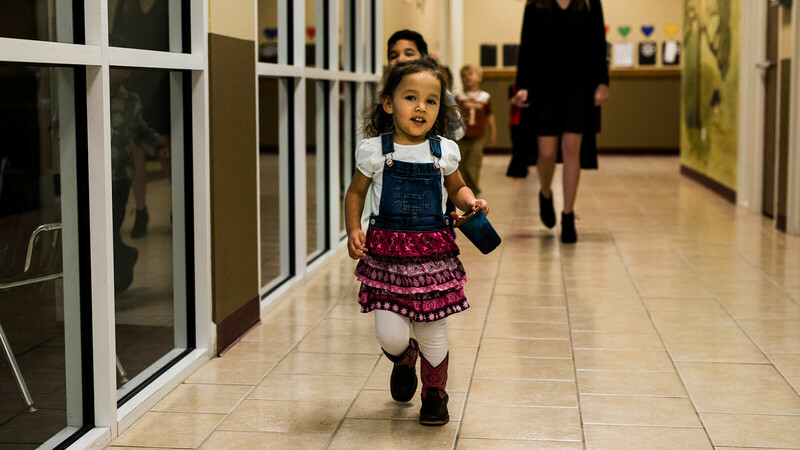 Children's Registration Night is late August each year from 6:30-7:30 p.m. Come and go to register for Cubbies, Level Up, Kids Worship, GAs or Bible Drill. Cubbies Classes are Wednesdays, from 6:15-7:45 p.m.
Click here to register for Level Up (K-6). Meets Sundays at 6:00 pm (in the older Preschool Area of Building D) for children 3 years old by Sept. 1 (during the school year). Preschool Story Time is the 3rd Friday of every month during the school year. All Preschool children of the community are invited to join us here at FB Forney. Activity starts at 10:00 a.m. in the Children's Event Center of Building D. Preschoolers and their parent will enjoy reading a story, making a craft, and snacks. There is no cost to attend. See calendar for dates. Get out of the weather and enjoy fun, games, activities, and a snack. Events are held several times a year. See the calendar for specific dates. Everyone in the community is welcome to join us! **Parents must accompany your Preschoolers. If you are interested in Baby Dedication at First Baptist, please contact Latricia Walker, Preschool Minister, at . Your child will be presented to the church as well as receive a newborn's Bible on select Sundays during the service of your choice. If you are interested in serving with our Preschool Ministry, please complete the form below. You will be contacted soon. To ensure the safety of all children and visitors, First Baptist requires a completed background check on all volunteers. Thank you! Latricia Walker is our Minister to Preschool. Click here to email Latricia.